Kia Motors America (KMA) today brought the sights and sounds of the race track to the opening day of the 2014 Specialty Equipment Market Association (SEMA) Show. Just five years after the brand boldly announced its intention to enter professional motorsports in the U.S. at the 2009 SEMA Show, KMA marked its second title-winning season, celebrating the 2014 Pirelli World Challenge Manufacturers Championship. Kia's "A Day at the Races" 2014 SEMA display commemorates Kia's racing success and demonstrates the imprint motorsports has left on the brand's DNA, encompassing both the thrill of high-speed competition as well as the fun and excitement that fans experience trackside. "Competing – and winning – in the Pirelli World Challenge series allows Kia to provide tangible proof of the quality, durability, reliability and performance of the vehicles we build," said Michael Sprague, executive vice president, sales & marketing, KMA. "This year's SEMA show gives us the opportunity to celebrate our hard-fought championships while also embracing the fun and excitement of the fan experience in a way that only Kia could do." While two of the vehicles are inspired by the festive atmosphere fans of the Kia Racing team experience during a day at the track with family and friends, the others pay homage to the raw performance and unique style that has permeated Kia's five years of U.S. racing success. 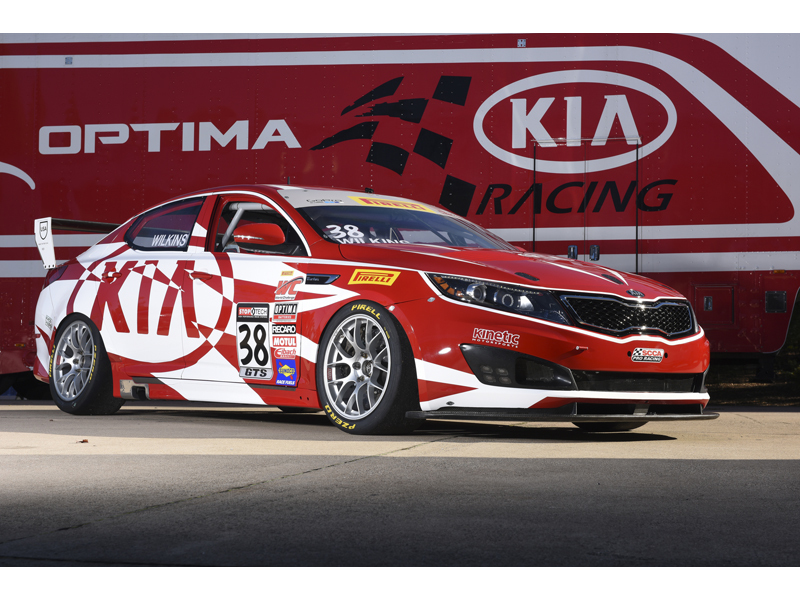 And at the center of it all is the championship-winning Optima race car, sporting a new look for the 2015 season.